Guerillascope is an independent media planning & buying agency that, last year, supported more businesses with flexible, targeted and optimised campaign strategies than any other agency in the UK. Our mission is simple: we’re passionate about supporting London’s vital FinTech business community with cross-platform media campaigns that make budgets work harder and add value to investments. Stationed in the heart of London but with offices also in Ireland, we operate differently to other media agencies by focusing on how we can deliver the best results at the lowest media costs. We take in the wider picture, and offer a full-service, one-stop shop where FinTech brands looking to launch in Europe’s tech mecca can explore the full power of analytically driven, data-centric campaign optimisation. Our secret? It’s simple: Guerillascope’s highly trained and focused team utilises the most cutting-edge technology and software to ensure your brand is seen by the right audience, on the right media channels, at the right times. From the moment your campaign launches, our account managers use high-end cross-platform measurement tools to continuously monitor performance data and enhance the strategy’s effectiveness. 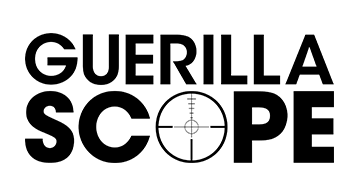 Above all, however, Guerillascope is made up of honest, energetic and proactive experts who speak with experience. We’ve been there ourselves: bringing a new brand to the market; growing it sustainably; and thinking outside of the box to continue scaling new heights. We channel our experience into a service that ensures FinTech businesses entering the UK market see the risk to their investment minimised, and profit returns maximised. If you are a FinTech business with ambitions of seeing your brand flourish in the lucrative UK market, why not come and say hello? We'll be at the Money20/20 on stand 1261, supporting our fantastic associate, London & Partners. Guerillascope is part of London & Partners’ London Fintech Lounge at Money20/20 Las Vegas.